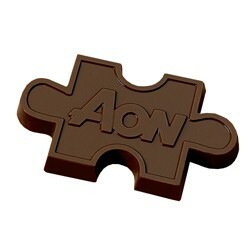 Custom Chocolate Puzzle Pieces. Be it keys, cars or tools, the sky's the limit with our many shapes and sizes. We can customize our chocolate to virtually any shape and size to give you almost endless possibilities.